Picture a room, lined with book shelves, warmed by a glowing fire. You smell musk, deep oak, and worn leather. You take in the plush arm chairs, the thick Persian rug. Somewhere you hear the clink of glasses, hushed conversation, and the lingering scent of smoked cigars. You might even hear laughter, or that heavy sigh as the day ends. This to me, is the ideal setting to sit down and sip on a Cognac. 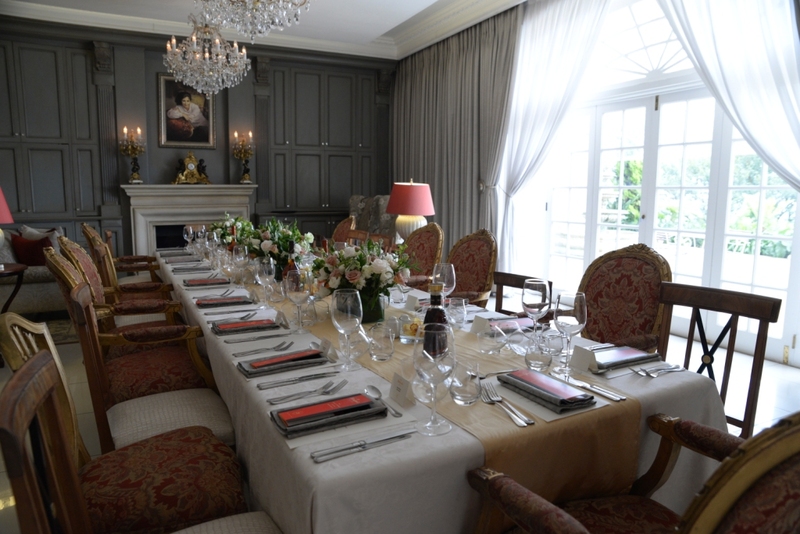 What surprises me most, is that, besides the opulent setting of the Munro Boutique Hotel, I sat at a table, with a few other people and ate lunch! 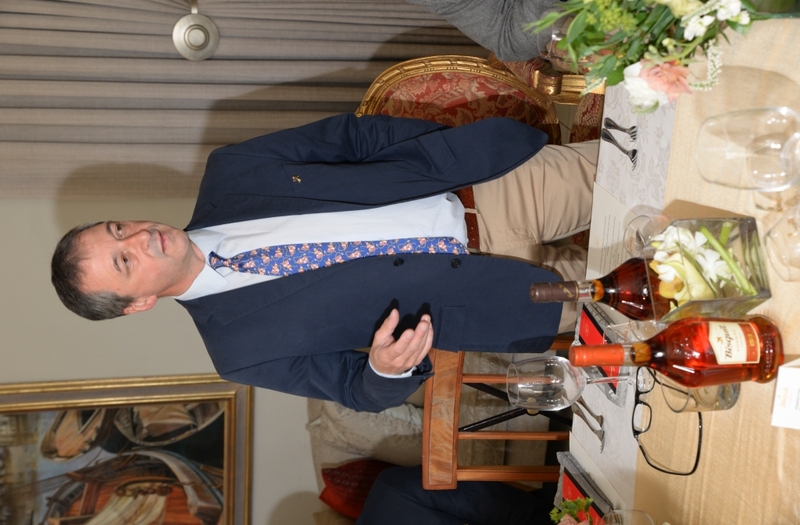 I was invited to a Cognac pairing, hosted by Bisquit Cognac, with Distell and arranged by the amazing team at Hello Conversation Communications Agency, all in celebration of World Cognac Day. I made my way on a gloomy and cold Johannesburg afternoon, to be greeted by Denis Lahouratate, Maitre de Chai for Bisquit, Simphiwe Pato, Brand Manager for Bisquit and all the amazing guests that were due to join me for an afternoon, of not only Cognac education, but one that was going to be filled with good conversation, amazing food and ridiculously delicious drinks! 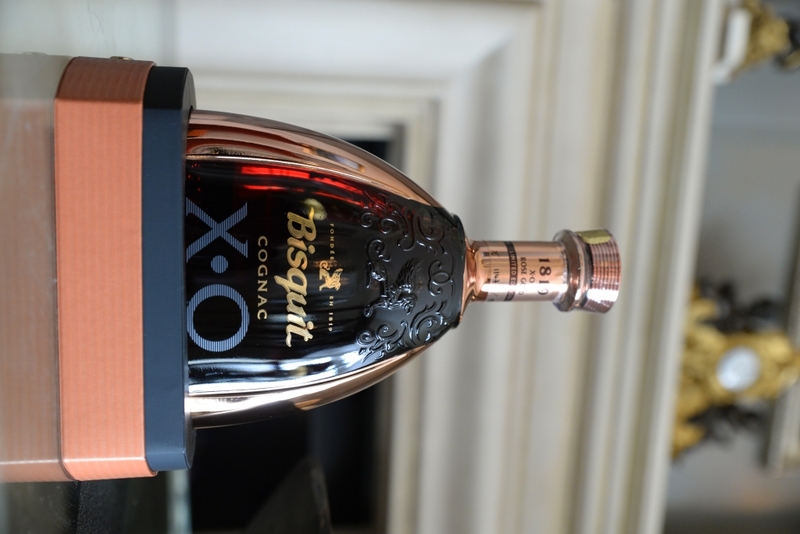 We started our afternoon with a tasting of the Limited Edition Bisquit X.O Rose Gold Cognac. You could see the twinkle in Denis eye’s as he started talking about this delicious, smooth, delicately sumptuous, handcrafted Cognac. Like a man, that sits with pride when he starts talking about a first love, Denis could not stop gushing, and needless to say, once I had the first taste, I could understand why. With the vision of creating the smoothest Cognac ever released, Denis personally selected eaux-de-vie from six casks to blend for this creation, producing a Cognac that stands for the epitome of the style of the house: a smooth blend with a “generous bouquet of aromas”. Rose Gold XO is a silky sumptuous Cognac with a beautiful balance of flavours and a wondefully lingering and everlasting finish. What a treat it was to taste this Cognac. With only two bottles, currently in South Africa, we were of the first few that had the privilege of tasting this absolutely decadent beauty. We then moved onto our lunch. 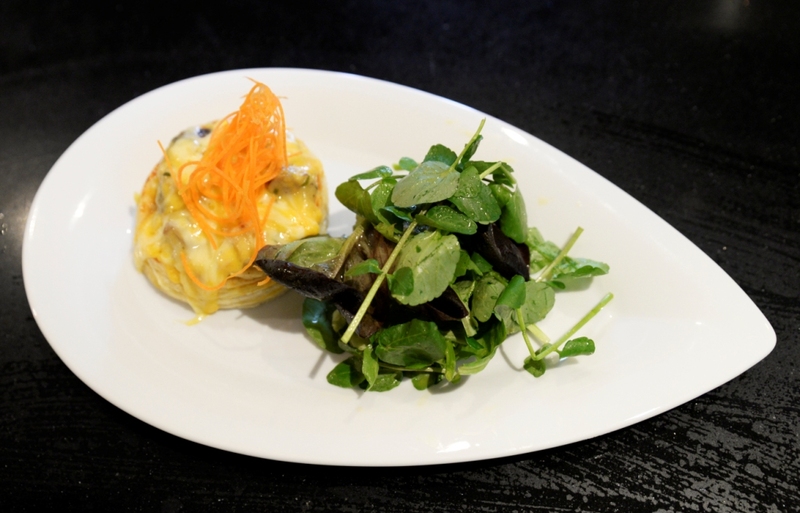 I started with the Lobster Vol-Au-Vent with orange Cognac Sauce, which was paired with the V.S Classique. This Cognac has a fruity aroma, with hints of vanilla, cinnamon and oak. 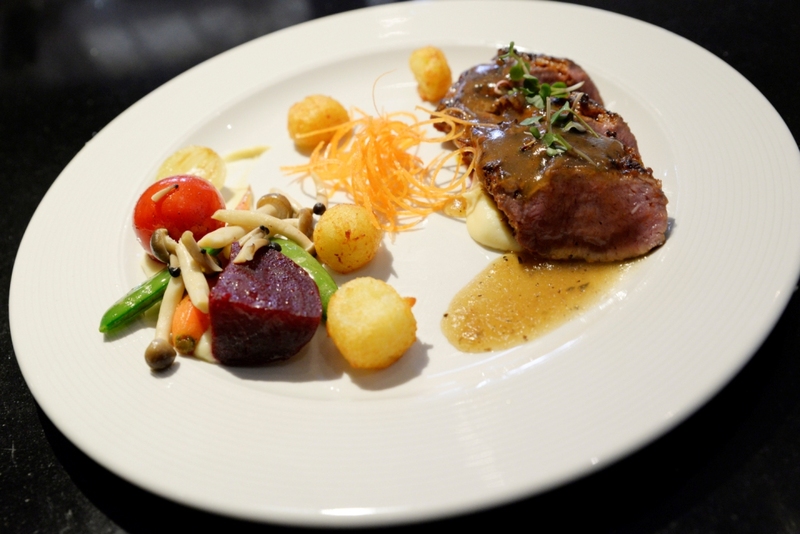 Main course was the Karoo Lamb fillet with thyme jus, Artichoke, organic vegetables and Hazelnut Puree, which was paired with the V.S.O.P. This Cognac is drawn from the esteemed eaux-de-vie of Petite at Grande Champange, which enhances the longer distillation. Also so smooth and decadent. 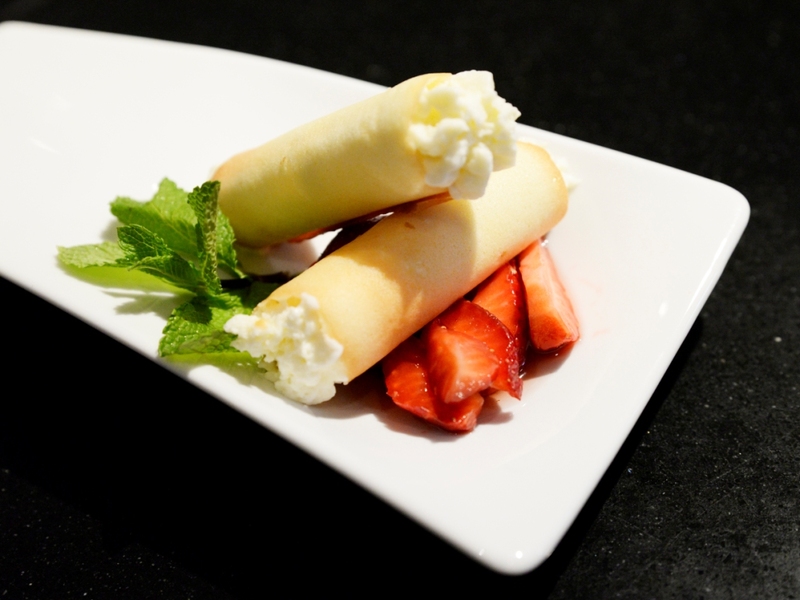 The dessert was a White Chocolate Mousse Cannelloni with Strawberry Minestrone, and although you would think that chocolate and Cognac might not go together, it paired so well. The last pairing was the XO, which is the mature, grown up, adult of the range, Its a deep amber color, and has hints of woody and smoky notes, with tabacco and cocoa, sugar fruit and prune. For a first time Cognac experience, I was utterly blown away by firstly, the humility of Denis, also, his passion and love for Cognac making, his knowledge and experience of being in the wine and spirits industry for more than 30 years, is prominent when he could explain and make us understand the most complex questions. I left with a full tummy, half closed eyelids and a new appreciation for the entire process of this handcrafted distillation technique that is the signature of the House Bisquit.